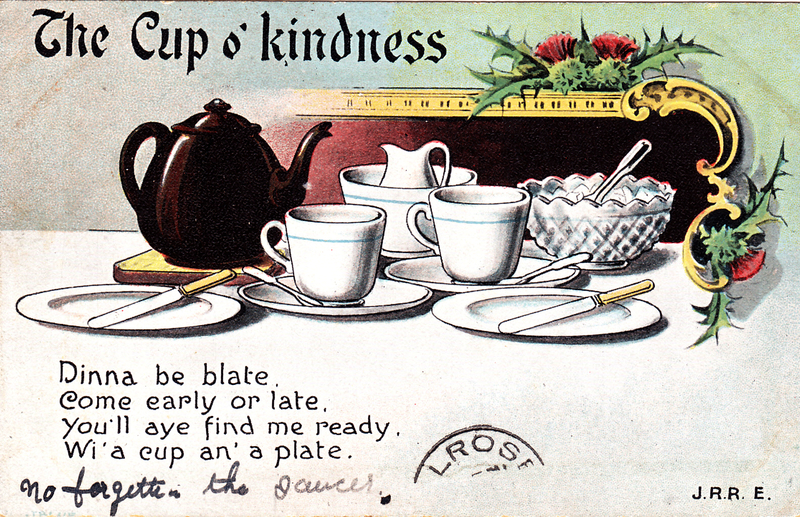 Here it is a nice postcard that makes me think of tea time. 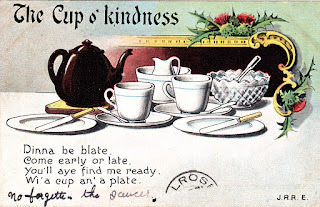 A good cup of tea is always welcome. I found this postcard on a very small flea market. Unfortunately the postage stamp is incomplete, so we cannot see the date it was sent, perhaps to a friend or a relative?